Tree and Vine is a scientifically formulated product high in phosphorus with trace amounts of potassium. The addition of potassium is important for tree and vine applications. Increase the leaf sap sugar content, increasing the plants overall immunity and defense to insects and pathogens. Develop strong, healthy root systems and fruit development. Supply the plant with a clean ammoniacal form of nitrogen optimum for reproductive growth. Due to the high energy and availability of the phosphorous and potassium of our products, a small amount will go a long way. Use of clean, available phosphorous will ensure that your plants gain the nutrients that they need. Tree and Vine is a water-soluble product that will supply phosphate, potassium, and the energy needed for exceptional plant health and development without adding salts and heavy metals to your soil. Tree and Vine is designed and balanced to be used with GSR Calcium. There are many forms of phosphates on the market. The most common of these are MAP, DAP, Ortho, and Poly. Each blend is represented by different claims, and different grades and guarantees. Unfortunately, these figures only represent a small piece of the picture. Production of sugar (photosynthesis) is a very important component in the measurement of health of your plants. Plants can only absorb water soluble minerals. 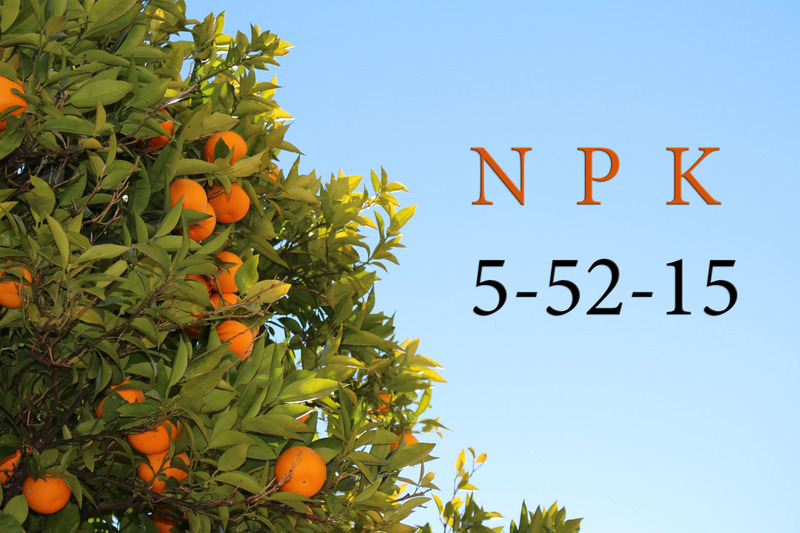 As a producer, it is important to understand that N-P-K grades represent an amount reflective of quantity, but may fail to address availability. Take the time to learn what your plants need and can use, versus what your inputs are giving you.